This is Book 2 of the Search for Truth series The summer holidays are over and Seb returns to Belfast. As a new Christian, he faces difficult situations and unprecedented challenges while seeking to be a witness for God day by day. When a drastic change in circumstances means that Seb ends up in a perilous situation, he is shocked to discover signs of criminal activity. As things spiral out of control, the word ‘witness’ takes on a different meaning. Will Seb have the courage to do the right thing? This is Book 2 of the Search for Truth series. The summer holidays are over and Seb returns to Belfast. As a new Christian, he faces difficult situations and unprecedented challenges while seeking to be a witness for God day by day. When a drastic change in circumstances means that Seb ends up in a perilous situation, he is shocked to discover signs of criminal activity. 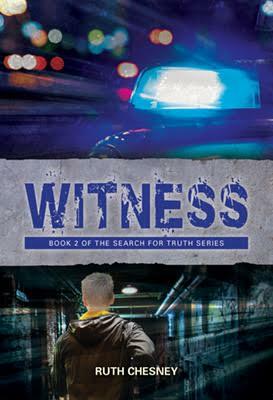 As things spiral out of control, the word ‘witness’ takes on a different meaning. Will Seb have the courage to do the right thing? What Happens When You Die, Grandpa?